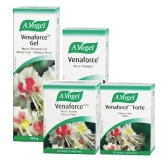 A. Vogel is offering up free samples of Venaforce Gel. Open to Canadian citizens only and only one sample per address. Until quantities last. Simply answer the 2 questions and fill out the form to get your free samples.